Brussels shares many attributes with Geneva: It is a city known more for the diplomatic meetings it hosts than its cultural attractions, therefore I was resolved to discover what makes this city unique. 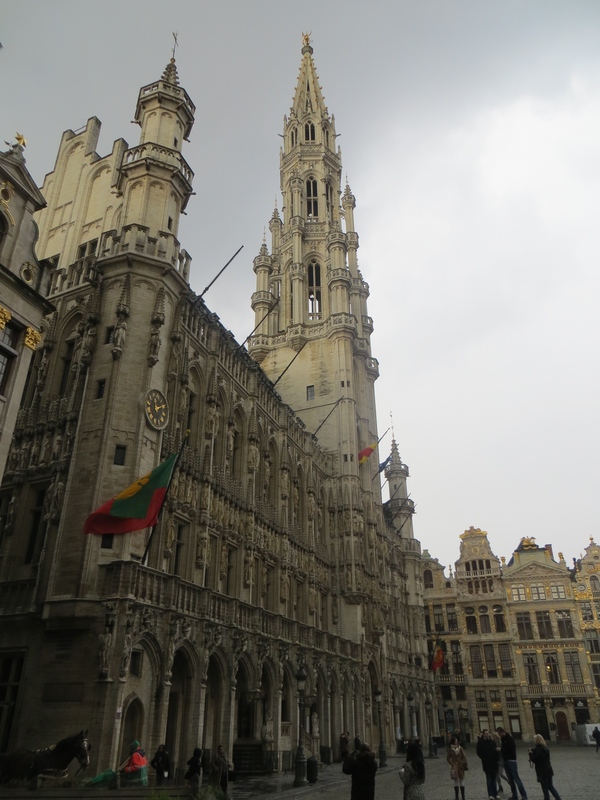 One thing is immediately apparent: Brussels has seriously jaw-dropping architecture. 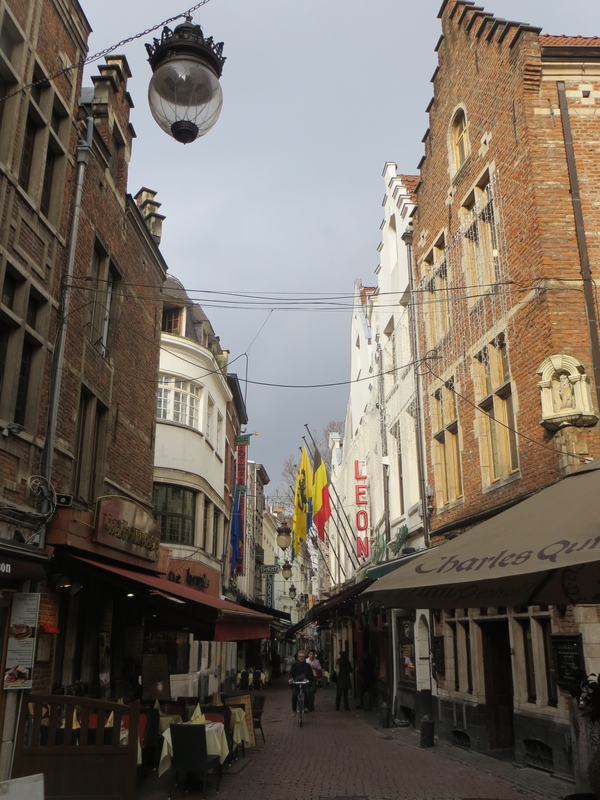 Brussels is a perfect city for wandering around, peeking down alleys and taking photos. 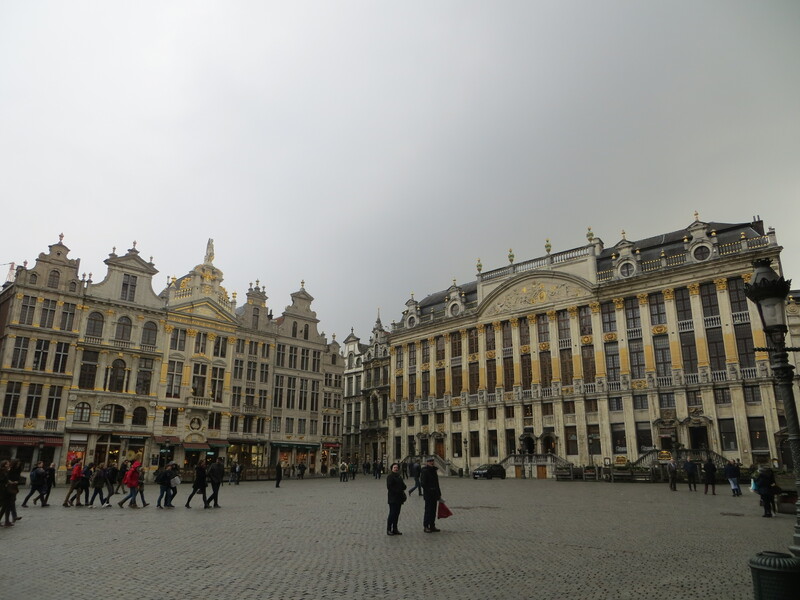 In the Grand Market Place, you will find the ostentatious, ornate Guild Hall buildings–constructed in the 1690s after a French army destroyed the original marketplace. 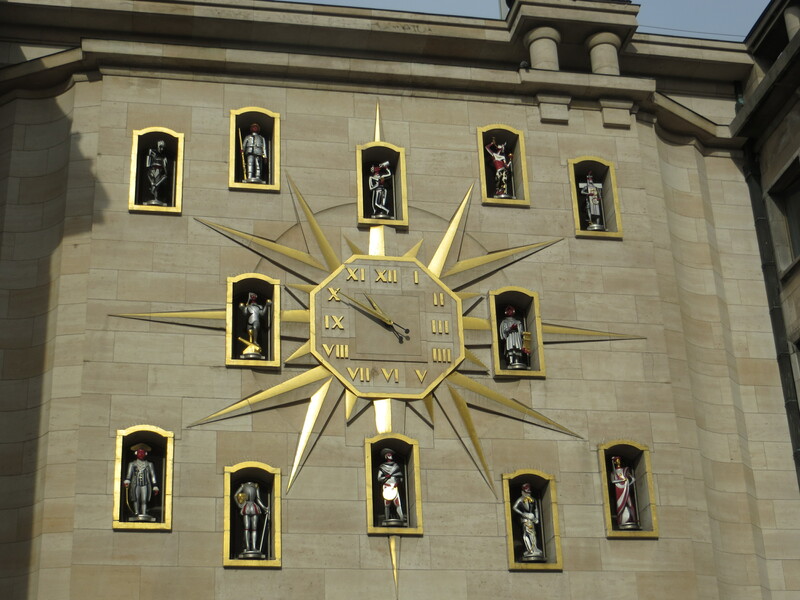 Check out the nearby Carillon du Mont des Arts clock–hopefully on the hour when you can experience all 24 of its booming bells. 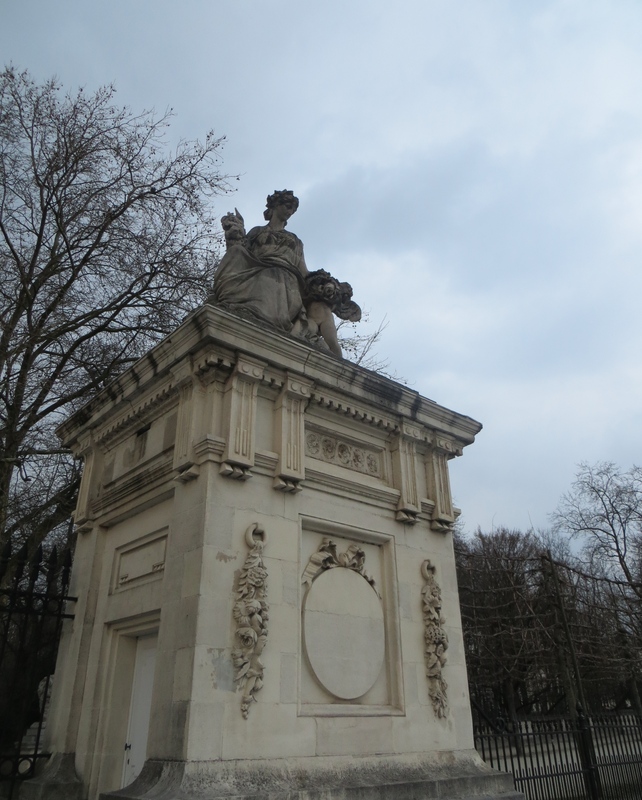 The romantic Neoclassical architecture in the Royal Palace neighborhood is reminiscent of Paris’. Sandwiched in the neighborhoods in-between, I found everything from brutalist to mid-century. 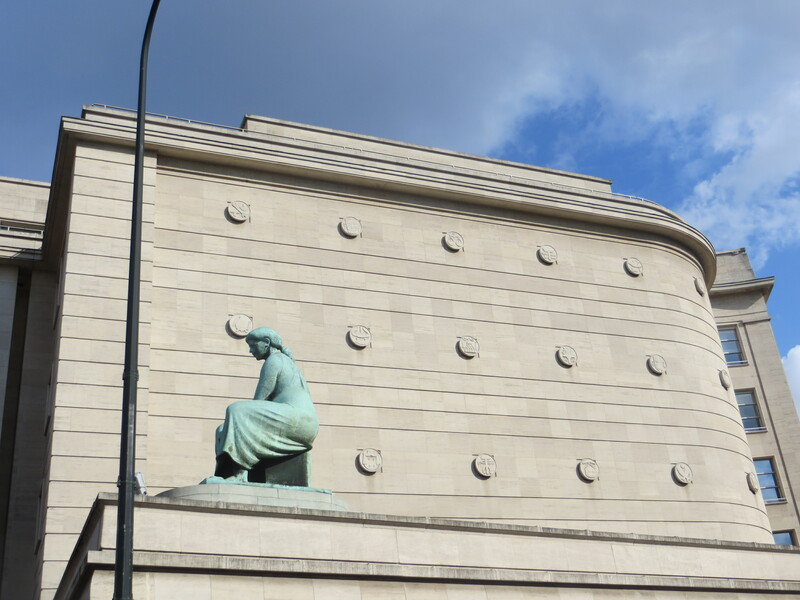 The Royal Museums of Fine Arts in Belgium is home to six separate art museums spanning Brussels’ history. Since the museums are interconnected, visitors can buy tickets to one or all of them–although I wouldn’t recommend attempting to see them all in one day! I wanted a taste of two distinct periods, so I visited the the Musée Old Masters to see Peter Paul Reubens’ and his contemporaries’ work and the Musée Margritte to dive into the world of surrealism. I loved both, but the surrealist exhibit was totally unlike any exhibit I’ve visited before–educational about the movement and Brussels’ recent history. I also snuck in a visit to the Belgian Comic Strip Center to learn more about the mystery-solving, Belgian reporter Tintin–a childhood favorite. If you have time, try to at least visit the gift shop for some adorable postcards. I was so glad to tuck into La Cinematek one afternoon when a sprinkle of rain became a downpour. This tiny Belgian film museum screens several, classic films a day in addition to its free exhibit. I caught Remains of the Day (a movie I’d been dying to see) for three euros! If the weather had been a bit warmer, I would have spent more time in the Leopold and Brussels parks studying the landscape. Even in the dead of February I could tell that these parks will be breathtaking in full bloom. 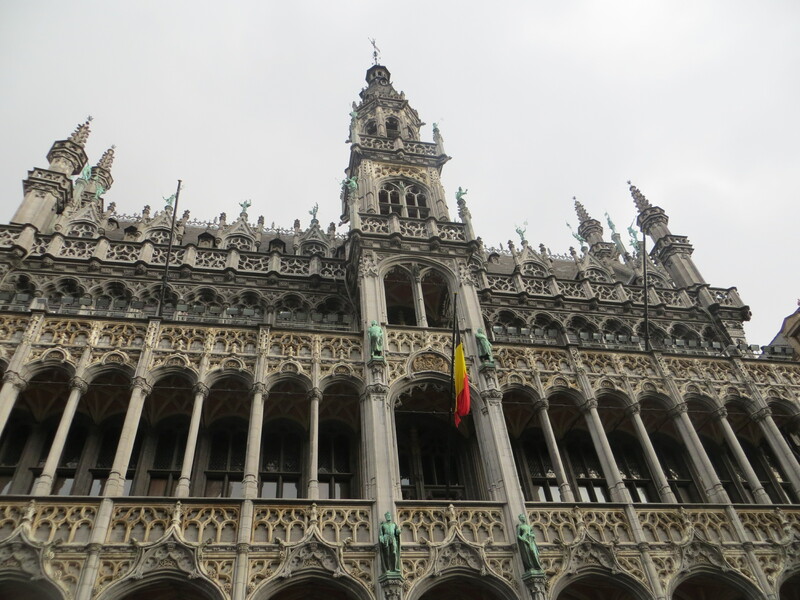 Belgian cuisine is as much a part of Brussels’ culture as its art collection. Thanks to its location on the North Sea, Brussels excels in seafood (ever heard of “mussels from Brussels”?) and Scandinavian dishes. We ate as well at the street carts as we did in the white tablecloth spots. 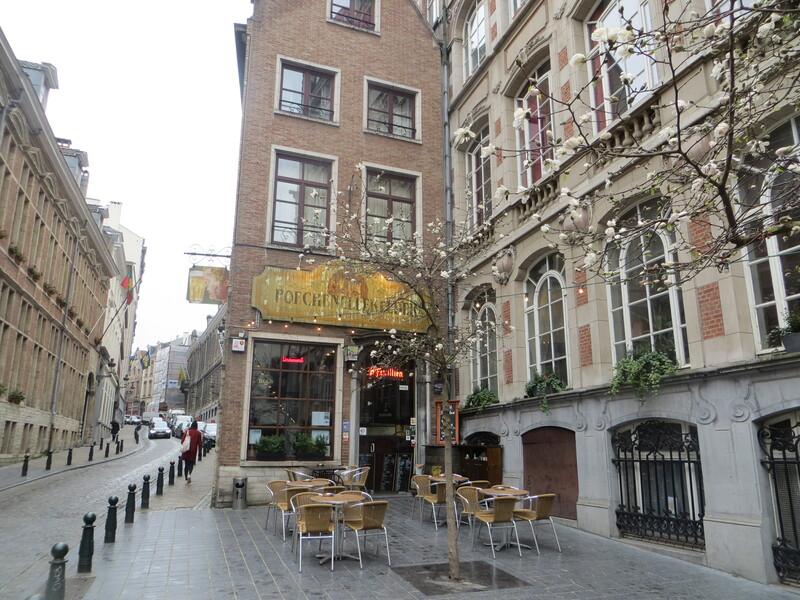 Situated on the Grand Place, La Brouette may seem like a tourist trap but it is an authentic waffle cafe. The interior boasts both crystal chandeliers and cozy fireplaces. We made friends with the owner who gave us some of our favorite recommendations. We saved La Quincailliere for a romantic date night. I thought there was no way the food could outdo the interior design–housed in a turn-of-the-century hardware store–but I ate the best piece of dover sole I’ve ever had there. We topped off the night with a little port wine and sorbet. Bia Mara was my favorite lunch in Brussels–casual, crowded, simple. The restaurant specializes in inventive fish and chips. I tried their tempura-battered wasabi lime cod and Bryce had the lemon basil. It was out-of-this-world good. 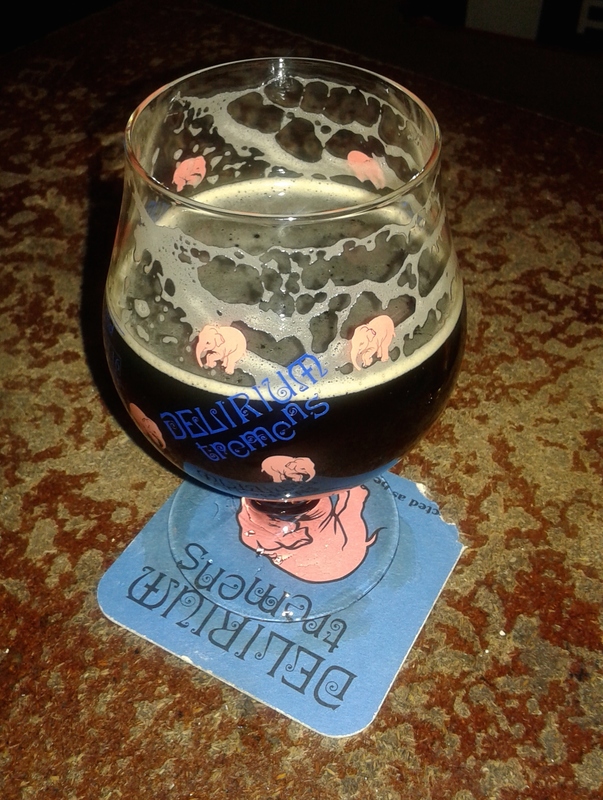 If there was one beer hall I’d recommend in the sea of Brussels’ beer halls, it would be La Mort Subtie. It is the kind of place where you can imagine Hemingway or Fitzgerald scribbling away in the corner over a creamy Belgian brew. Try one of the cafe’s own Lambic brews.